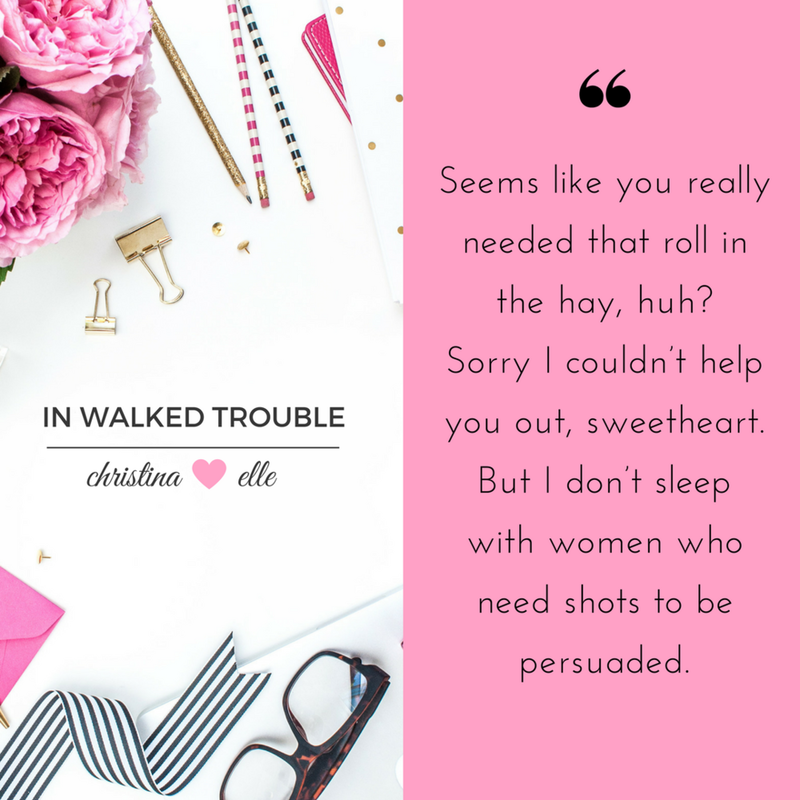 IN WALKED TROUBLE Cover Reveal! It's here! It's here! The cover for IN WALKED TROUBLE! This is book 2 in my Under Covers romantic suspense series and centers around Luke Calder, Ash Calder's (from ON HER SIX) best friend and DEA teammate. I feel like the action and humor factors were really AMPED up in this book compared to book one. If you loved ON HER SIX, then you'll definitely be on the edge of your seat and also laugh more while reading IN WALKED TROUBLE. With a deadly target on his back, DEA agent Luke Calder’s plan is to drink away his impending demise. Except instead of getting blessedly drunk, in walks a woman with a much deeper story than she’s leading on. And he definitely wants to know more. Especially when he learns she might have intel he needs. He’s not cool with lying to her, but desperate times call for desperate measures. And what starts out as simple surveillance turns into so much more. Cassandra Stone is having a bad night. Her boyfriend’s been cheating because she’s not “adventurous enough” in bed. So, she does the next logical thing—she goes in search of a dark, dangerous one-night stand. Instead, she finds smoldering eyes, deep dimples, and the killer smile of a guy who won’t leave her alone. Damn him. He says and does all the right things, making Cass believe that good men still exist. Until she learns why he took an interest in her in the first place. Release date is Monday 31 July, but you can preorder now! Enter to WIN a print copy of IN WALKED TROUBLE on Goodreads! CLICK HERE to enter! Don't forget to add it to your TBR pile while you're there!